Girardi Creek is a tributary of the Crowsnest River in southwestern Alberta and home to threatened Westslope Cutthroat Trout. The middle reaches of the stream are classified as Critical Habitat under the federal Species at Risk Act (SARA). 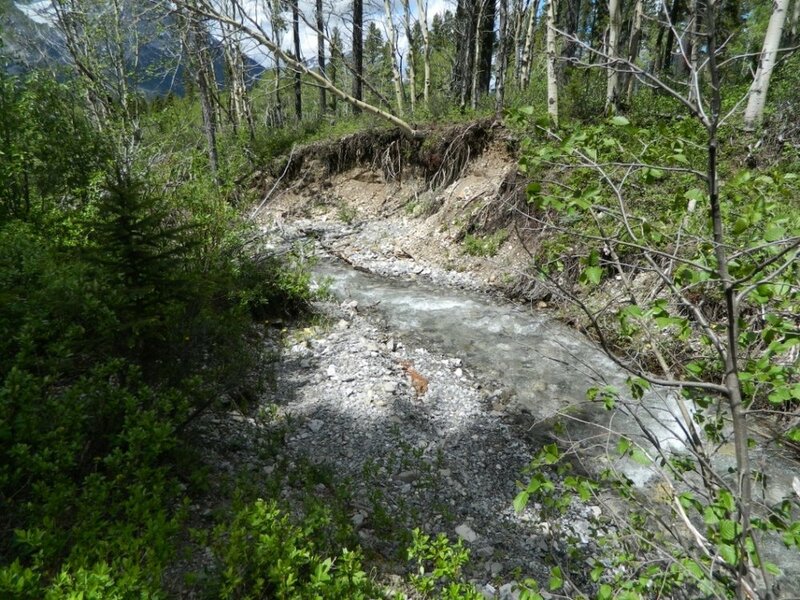 Following the flood of 2013, the provincial Fisheries Habitat Enhancement and Sustainability (FISHES) Program identified Girardi Creek as a priority area for fish habitat restoration. FISHES assessment work suggested that habitat degradation and increased sediment inputs, exacerbated by flooding are problematic for fish within Girardi Creek. 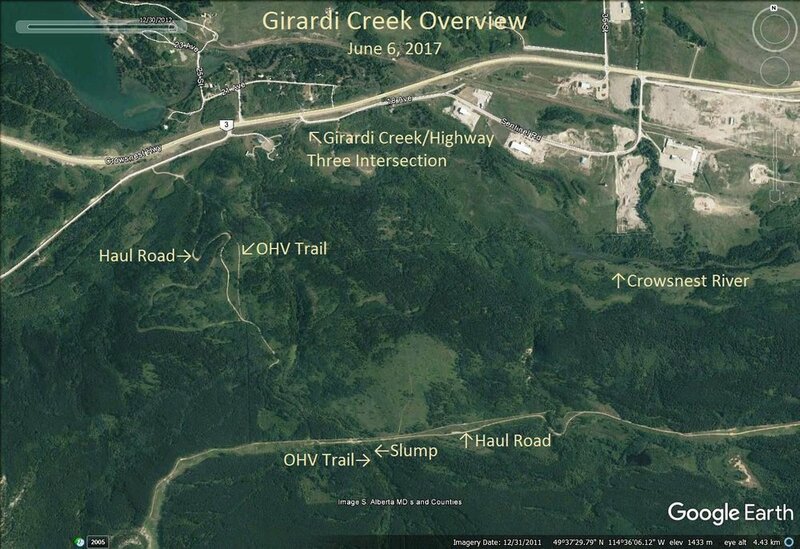 In the conceptual design phase, commissioned by Alberta Environment and Parks (AEP) through the FISHES program, Hatfield Consultants identified several restoration opportunities along Girardi Creek. 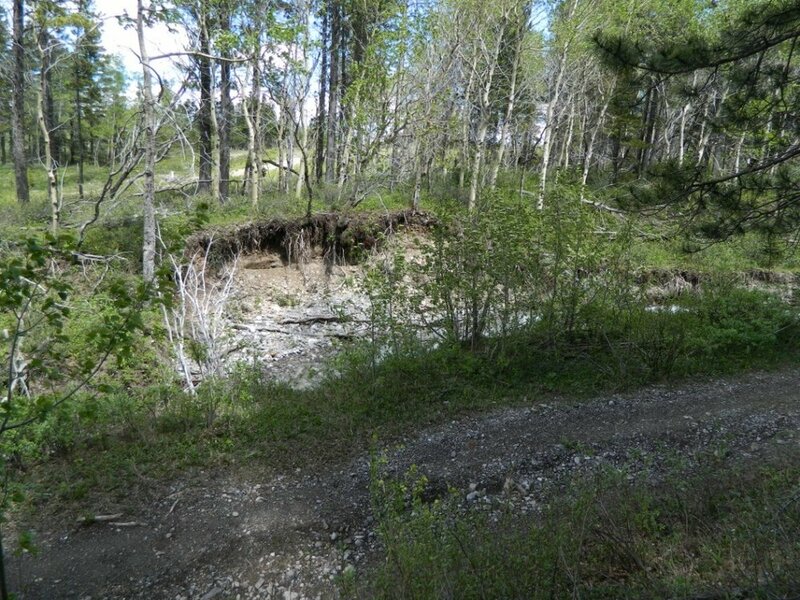 One site in particular was chosen as a good candidate for restoration through the use of bioengineering techniques and Trout Unlimited Canada is now working with Alberta Environment and Parks and Hatfield on planning for stabilizing this unstable bank. The goal of the work is to reduce sedimentation and erosion. The work will also engage the local community to increase the awareness of the importance of healthy, intact watersheds and how healthy riparian areas (the transitional shoreline area from the water to the upland) are important to clean water and important fish habitat. Design will be completed in 2017 and the work is scheduled to take place in the spring of 2018. The Oldman River Chapter signed the 2017 Southern Alberta Water Charter with a commitment to education and restoration work at Girardi Creek. The Chapter has committed $3000 to some bank stabilization work that was originally planned for Fall 2017, but will now take place in Spring 2018. There will be lots of opportunity to volunteer, so let us know if you are interested! Click on the photos below to scroll through some of the issues out at Girardi Creek.